Announcement Treasured Charms Jewelry provides high quality sterling silver charms, beads, necklaces and earrings. 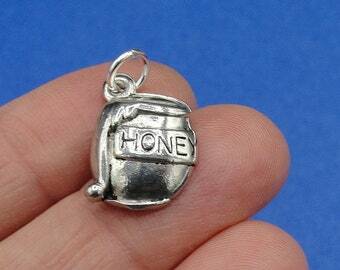 All charms are made with .925 sterling silver or pewter. Most of my charms are manufactured in the United States and all of my jewelry is lead free. Treasured Charms Jewelry provides high quality sterling silver charms, beads, necklaces and earrings. 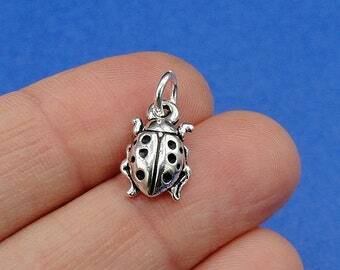 All charms are made with .925 sterling silver or pewter. Most of my charms are manufactured in the United States and all of my jewelry is lead free. New howling wolf necklace now available in bronze! Adorable little witch's hat and broom charm set I just listed. Available on a necklace chain too. Llama charm, now available in gold too! I offer many different attachment options for my charms. These fit almost all major brand European bracelets as well as thicker cords and chain including Chamilia, Bacio, Biagi, Caprice, Carlo Biagi, Charmed Memories, Individuality, Pand@ra, Persona, Zables, Cuff Bangles, Add a Bead Bracelets, and Snake Chains. I sell many charms with the bead already attached. All charms are available with this attachment by choosing a large hole bead from the charm attachments drop-down menu. Great for stringing on a necklace chain, attaching to a link style charm bracelet, or a bangle. The jump ring is open, meaning it can be twisted open with jewelry pliers to be added to a link style charm bracelet. A lobster clasp is a great way to securely add a charm to a charm bracelet without having to use pliers to open a jump ring. Simply push the trigger on the clasp to open it and attach it to a link on your bracelet. I offer a small or large lobster clasp. 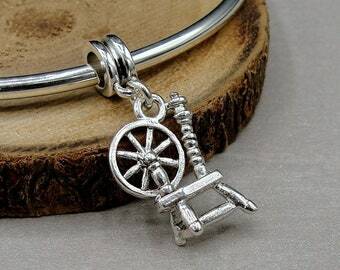 The small clasp is best suited for adding to a link on charm bracelet. The large clasp is great for adding a charm to a purse, backpack, or keychain. 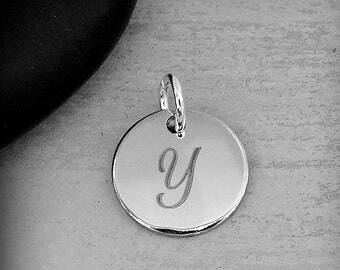 Add a necklace chain to your charm order to wear it as a necklace. Multiple lengths are available to choose from on the charm attachment drop-down menu. If you don't see exactly what you are looking for feel free to send me a message and I will do my best to help you find what you need. However, I do not engrave and I do not manufacture the charms ( so I can't change the shape, size, or color). •	Service providers. I engage certain trusted third parties to perform functions and provide services to my shop, such as shipping and delivery companies. I will share your personal information with these third parties, but only to the extent necessary to perform these services. For purposes of EU data protection law, I, Jessica Meyer, am the data controller of your personal information. If you have any questions or concerns, you may contact me at treasuredcharms [!at] gmail.com.